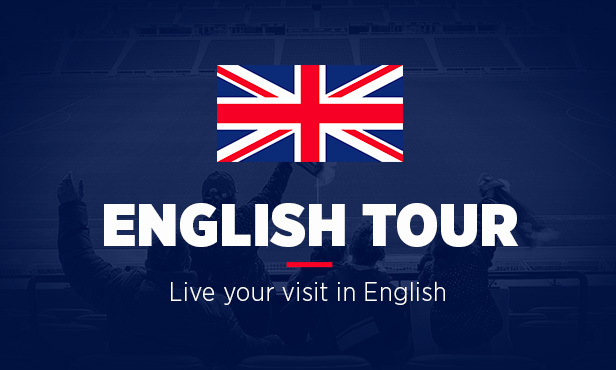 The Groupama Stadium now offers English-speaking stadium tours. One tour a day is now available for the English speakers of the city of Lyon: English tour at 1130. These tours are your chance to explore the world of Groupama Stadium and go with our guides behind the scenes of our professional team: see the dressing rooms, the pitch, the press room and the VIP boxes. Every month, betweeen 3500 and 5000 people from more than 15 different countries (Germans, Costa Ricans, Finns, Japanese, Americans etc) take this tour. The Olympique Lyonnais stadium and the club history will no longer be a mystery to you.